The Freedom Flight Park is situated on private property near the town of Lumby in the Okanagan Valley of British Columbia, Canada. Home of The Lumby AirForce Flying Club, since 1976, and providing a variety of flying fun and education for Hang Gliding, Paragliding and Ultralight Aircraft. With 2 foot mountain launches within gliding distance, a 2000' grass runway, hangars and a pilots' lounge, the Freedom Flight Park is an excellent location for paragliding, hang gliding and ultralight flying in the beautiful Okanagan Valley in British Columbia, Canada. ​Want to soar like a bird?!? Learn to fly hang gliders, paragliders and ultralights. Courses can be intensive or spread out, depending on your schedule. 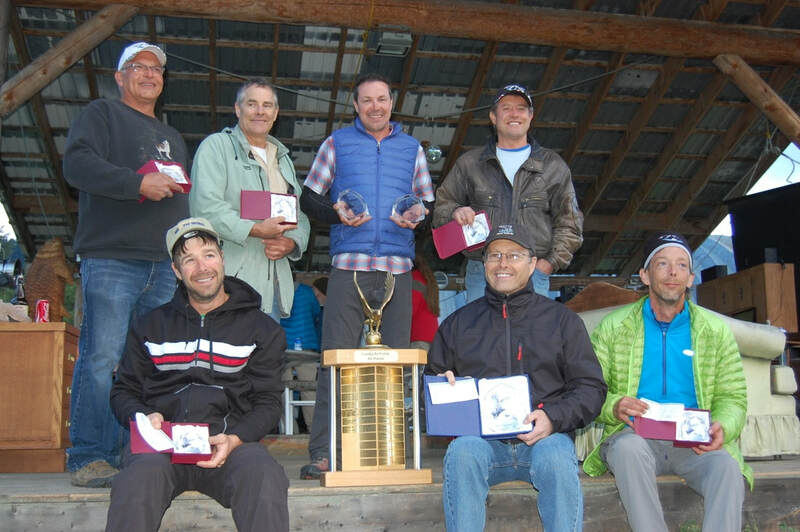 Since 1976 the Freedom Flight Park has hosted many local, provincial and National hang gliding and paragliding fly-ins and competitions including the annual Lumby Air Races. The Canadian National Hang Gliding Championships were last held here in 2015. Free flying has been present in the Lumby Valley since the mid 1970s. ​make it a mecca for free and motorized flying. ​Oh, and we didn't even mention the amazing views! To Inspire and Educate people about the fun & thrill of flying by providing a safety conscious community of like minded pilots. Essentially a large parachute, a paraglider is a wing that flies slowly through the air. You sit upright and the flight can be calm & meditative or a wild invisble roller coaster ride in the sky! This flexible yet rigid wing is the closest thing to flying like a bird. The pilot is prone in a suspended harness and controls the wing by shifting body weight and foot launches from a hill or ...soon to be aero towed up with an ultralight. Don't like the idea of running off a mountain but you want to experience the raw essence of flying? 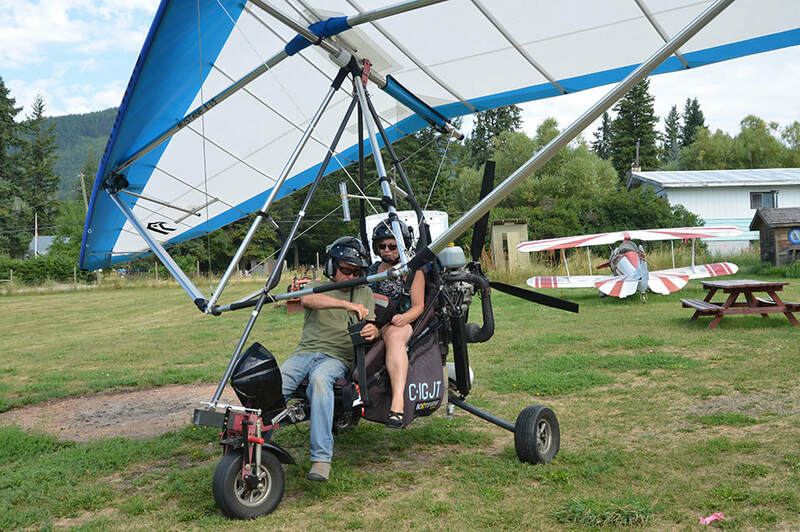 An ultralight trike is used for teaching hang gliding and takes off and lands from a runway like a plane but the engine can be turned off during flight and you can learn how to soar. Amphibious ultralights and self launch ultralight sailplanes are coming soon!